A new software system has been developed that could support decisions on how to respond to potential Near Earth Object (NEO) impacts on Earth. The Near Earth Object Mitigation Support System (NEOMiSS) has been designed to inform decision-makers about human vulnerability due to a collision by a NEO, typically an asteroid or a comet. Developed by University of Southampton PhD student Charlotte Norlund, it was revealed in a paper presented at the IAA Planetary Defence Conference in Bucharest, Romania, this week (Thursday 12 May). NEOMiSS is designed to provide information about the ability to evacuate a threatened region prior to an impact. It combines models of the physical effects of a potential NEO impact with historical knowledge of a variety of natural hazards and local building strength. This creates a measure of human vulnerability in the form of expected number of casualties. What makes the system unique is the addition of behaviour-based evacuation models, which simulate and measure the ability to evacuate an affected area. These models rely on global gridded data, statistical data and knowledge of transportation infrastructure collected by astronautics student Charlotte during her PhD. "The likelihood of a NEO, such as an asteroid or comet, impacting the Earth might be small but the damage would be devastating," says Charlotte. 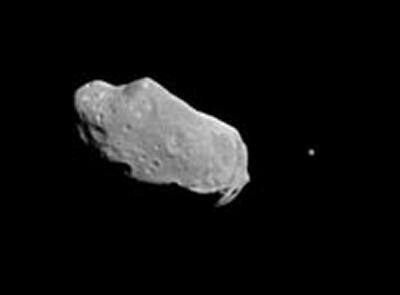 Surveys using ground and space-based telescopes, such as the NASA 'Spaceguard', have identified many NEOs that pass close to the Earth, including the 400 metre asteroid 2005 YU55, which will approach to within 325,000 km of the Earth in November this year. "Earth-threatening NEOs may be discovered days or years before an impact, giving us the chance to launch a deflection mission or evacuate an area," explains Charlotte. "Ideally, important decisions about such a mission should be based on a number of factors, including how the deflection will change the probability of impact and its likely consequences." The NEOMiSS tool, developed by Charlotte and supervisors Professor Peter Atkinson and Dr Hugh Lewis, addresses some of these factors. It also gives some indication of the resilience of regions that may be at risk and identifies areas that may need further investment in transportation infrastructure to avoid congestion 'bottlenecks'. Hugh adds: "The philosophy that is applied within this new tool applies to all natural hazards where we have some advance warning, such as hurricanes, volcanic eruptions, tsunamis and, of course, asteroid impacts. The early results show that some regions of the world would require a considerable amount of time to get their population out of harm's way." The paper "NEOMiSS: A Near Earth Object decision support tool" by Charlotte Norlund, Hugh Lewis and Peter Atkinson of the University of Southampton and Jessica Guo from the University of Wisconsin-Madison, was presented at the IAA Planetary Defence Conference in Bucharest, Romania, on Thursday 12 May 2011. For more information about postgraduate study in Space Systems Engineering at the University of Southampton click here. For undergraduate programmes, click here.